MOSCOW, December 17. /TASS/. 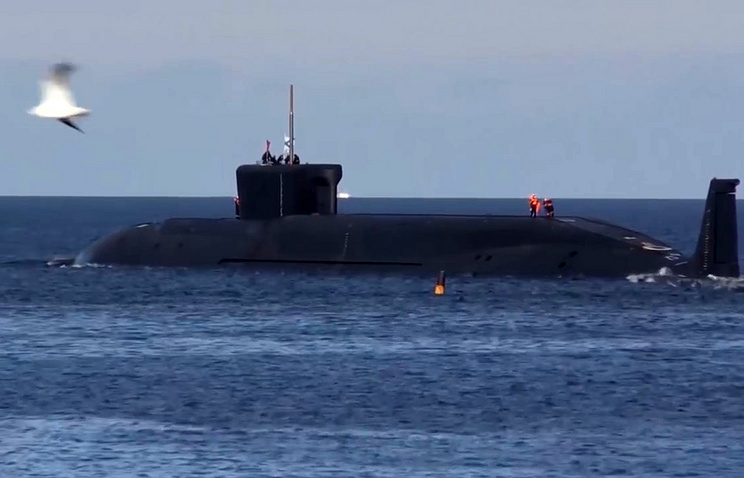 Russia’s Borei strategic missile submarines are doubly quiet than the US Virginia class, Director of the Kurchatov Institute R&D Center Alexander Blagov said at a roundtable discussion on the occasion of the 60th anniversary of the country’s nuclear submarine fleet. "Enormous work was done to lower the noise level of submarines and reduce physical fields. The noise level of the Borei strategic underwater missile-carrying cruiser is five times lower than that of the third-generation Shchuka-B multipurpose nuclear-powered sub and two times lower than the US Virginia class," Blagov said. Project 955 and 955A (Borei and Borei-A) submarines have been developed by the Rubin Central Design Bureau of Marine Engineering. The Sevmash Shipyard in Severodvinsk in northwest Russia continues building a series of eight such submarines. The distinctions of Project 955 and Project 955A are unknown. However, according to open sources, the Borei-A sub features the modernized hull and new electronics compared to its predecessor. Also, Project 955A subs have better stealth capabilities.